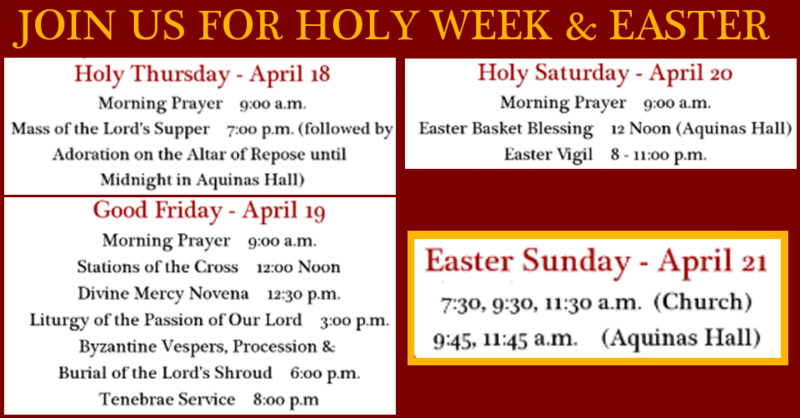 Want to know what is going on at STA during Lent? 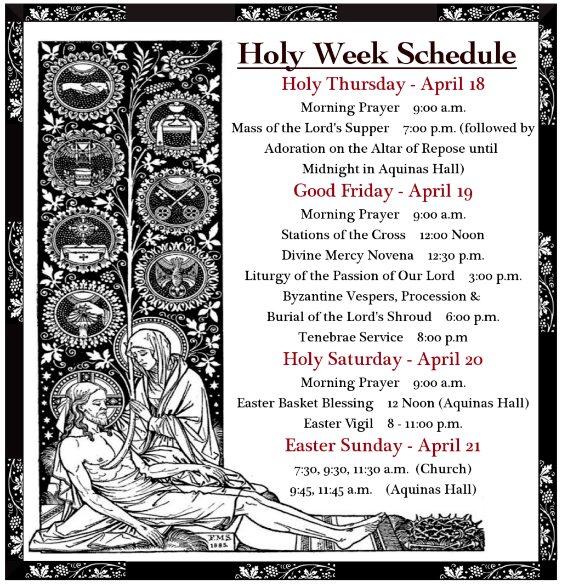 We have put all of our Lenten activities on one page. Check it out here! We also have a ton of great audio homilies, sermons, and talks that can really help you enter into Lent. Check out the Lenten Dinners each Friday put on by the Knights of Columbus!